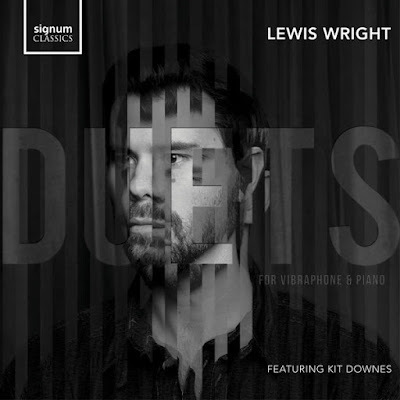 Vibraphonist Lewis Wright's Duets, featuring Kit Downes on piano, lies at the delicate intersection of jazz, improvised and classical music. The musical conversation between Wright and Downes follows various avenues, the two instruments seemingly in perfect sympathy. Wright is probably best unknown as being one quarter of Empirical. He composed all the pieces for Duets, which span a range of moods – from romantic (An Absence of Heart and the ballad Ono No Komachi to Reich-like minimalism (Fire & Flow and in particular the introduction to Tokyo '81). Overall, there is a sense of reflective impressionism. It would be wrong to downplay Downes' contribution to the project. Downes has worked in jazz, improvisation and contemporary-classical situations, the very space occupied by Wright's compositions. Wright's sleeve notes emphasise the long relationship the two musicians have, going back to childhood. The understanding between them on Duets seems very deep. The CD, produced by Wright, sounds beautiful: full of of clarity and depth, despite there being only two musicians. The ethereal ringing sustain of the vibraphone, often lost in recordings, is captured in detail, and perfectly balanced by the piano.